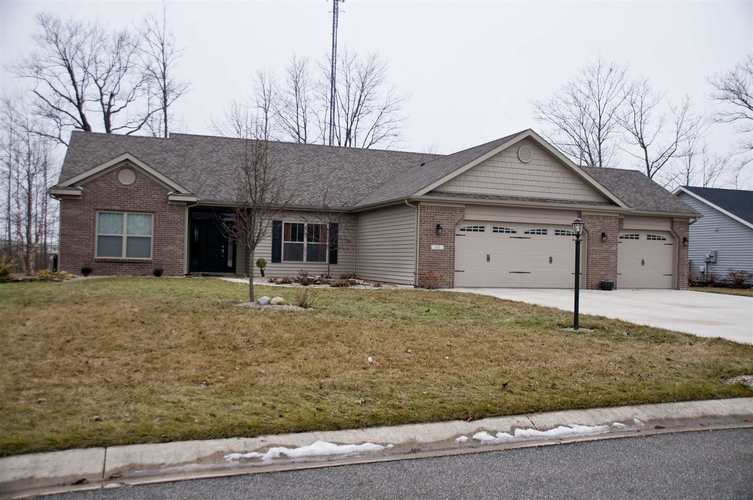 **Open House 3/10/19 2pm-4pm** Gorgeous 3 year old 3 bed 2.5 bath 1826 sqft Ideal Suburban built home on a 1/3 acre lot in Northern Wells County offers 9 ft ceilings, attached 3 car garage, open concept, rounded corners on drywall, Master en-suite and a Den/Flex room that could be used as a 4th bedroom. Cozy fire pit area in the partially wooded backyard offers a nice retreat on summer evenings. Home is move in ready for you to enjoy. Directions:South on State Rd 1 to south side of Ossian, turn right on Woodcreek, Ironwood will be the first left.